A father and son talking in the backyard. Most families have trouble communicating from time to time. However, if conflict abounds, knowing your communication patterns may help you understand why problems arise. All families fall either high or low on two orientations: conversation and conformity. Depending on your family's location on these two continuums, you will fall within one of four family communication types. Families with a consensual type of communication value open conversation, but also conformity within the family unit, according to professor of communications Ascan F. Koerner, Ph.D., in the article "Family Communication Patterns Theory." Family members communicate freely about thoughts, feelings and activities, but at the same time, parents are the final decision-makers about important issues. These two somewhat conflicting orientations lead to tensions, caused by a desire to be open but also have control. In these families, parents usually spend a lot of time explaining their decisions, values and beliefs, and their children learn to value conversation and often adopt the family value system. Families of this nature try to avoid conflict, as it threatens the hierarchical structure in which the parents make choices for the family. Pluralistic families are oriented toward conversation and away from conformity. Parents in these families believe in the value of "life lessons," and expect their children to develop through their interactions with people outside the family unit. Decisions are made as a family, with everyone having equal input. These families also engage in open conflict resolution. They are not afraid of disagreements, and have developed good strategies to resolve differences. Children from pluralistic families learn to be independent, and have confidence in their ability to make decisions. Protective families do not value open conversation and are oriented toward conformity. In these families, you are likely to hear the parent say, "Because I said so," state Koerner and Mary Anne Fitzpatrick, in the article "Toward a Theory of Family Communication." Children are expected to obey their parents, and parents do not usually share the reasoning for their decisions. 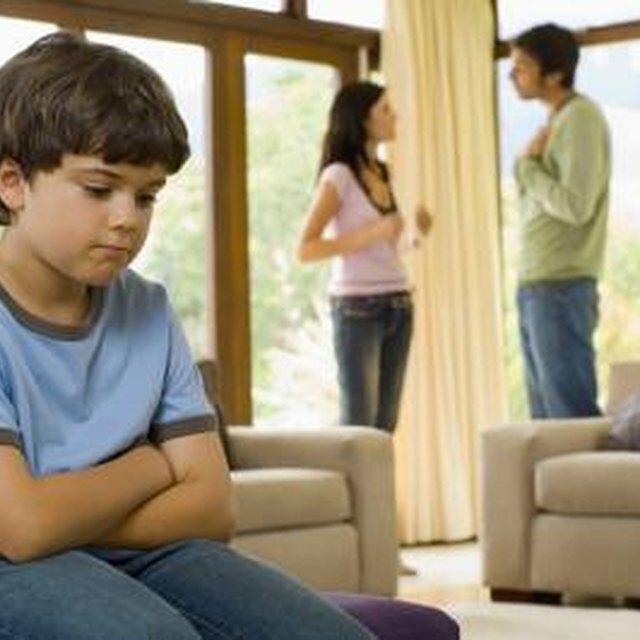 Conflict is usually low in these families, because children are oriented toward behaving in accordance with the family norms. However, if conflict does arise, members of these families are ill-equipped to handle the situation. In general, children from these families do not learn to trust their own ability to make decisions. Laissez-faire families value neither conversation nor conformity. Family members are often described as "emotionally divorced" from one another. Not much is discussed among members of the family, and parents often don't have an interest or investment in the decisions made by their children. Conflicts tend to be rare in these family situations, as everyone is free to do as they want, however children do not learn the value of conversation, argue Koerner and Fitzpatrick. In addition, because they have little support, they may question their ability to make decisions.